"Finding old stars could also lead to the discovery of new planets. Maybe we can find some ancient civilizations around these old stars," said Dr. Wei-Chun Jao, lead author of a new study and research scientist in the Department of Physics and Astronomy at Georgia State. "Maybe these stars have some planets around them that we don't know about." The Milky Way is nearly 14 billion years old, and its oldest stars developed in the early stage of the galaxy's formation, making them about six to nine billion years old. They're found in the halo, a roughly spherical component of the galaxy that formed first, in which old stars move in orbits that are highly elongated and tilted. Younger stars in the Milky Way rotate together along the galaxy's disc in roughly circular orbits, much like horses on a merry-go-round. 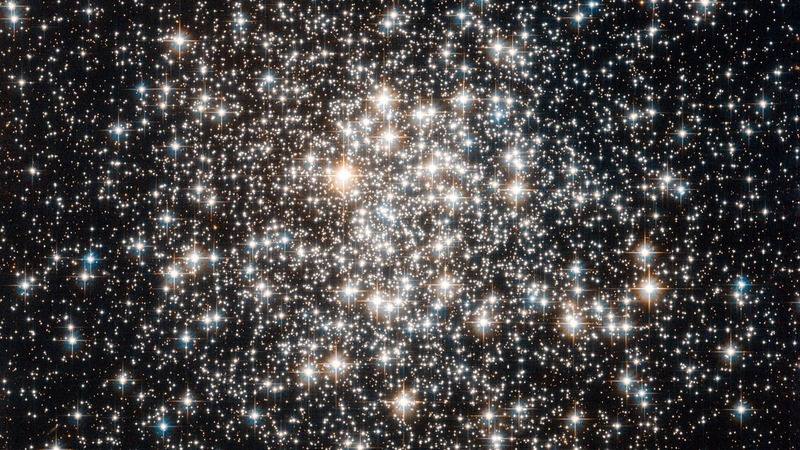 Just like humans, stars have a life span: birth, youth, adulthood, senior and death. This study focused on old or "senior citizen" stars, also known as cool subdwarfs, that are much older and cooler in temperature than the sun. In a new study, published in the November 2017 edition of The Astronomical Journal, astronomers conducted a census of our solar neighborhood to identify how many young, adult and old stars are present. They targeted stars out to a distance of 200 light years, which is relatively nearby considering the galaxy is more than 100,000 light years across. A light year is how far light can travel in one year. This is farther than the traditional horizon for the region of space that is referred to as "the solar neighborhood," which is about 80 light years in radius. "The reason my horizon is more distant is that there are not a lot of senior citizens (old stars) in our solar neighborhood," said Jao. "There are plenty of adult stars in our solar neighborhood, but there's not a lot of senior citizens, so we have to reach farther away in the galaxy to find them." The astronomers first observed the stars over many years with the 0.9 meter telescope at the United State's Cerro Tololo Inter-American Observatory in the foothills of the Chilean Andes. They used a technique called astrometry to measure the stars' positions and were able to determine the stars' motions across the sky, their distances and whether or not each star had a hidden companion orbiting it. The team's work increased the known population of old stars in our solar neighborhood by 25 percent. Among the new subdwarfs, the researchers discovered two old binary stars, even though older stars are typically found to be alone, rather than in pairs. "I identified two new possible double stars, called binaries," Jao said. "It's rare for senior citizens to have companions. Old folks tend to live by themselves. I then used NASA's Hubble Space Telescope to detect both stars in one of the binaries and measured the separation between them, which will allow us to measure their masses." Jao also outlined two methods to identify these rare old stars. One method uses stars' locations on a fundamental map of stellar astronomy known as the Hertzsprung-Russell (H-R) diagram. This is a classic technique that places the old stars below the sequence of dwarf stars such as the sun on the H-R diagram, hence the name "subdwarfs." The authors then took a careful look at one particular characteristic of known subdwarf stars — how fast they move across the sky. "Every star moves across the sky," Jao said. "They don't stay still. They move in three dimensions, with a few stars moving directly toward or away from us, but most moving tangentially across the sky. In my research, I've found that if a star has a tangential velocity faster than 200 kilometers per second, it has to be old. So, based on their movements in our galaxy, I can evaluate whether a star is an old subdwarf or not. In general, the older a star is, the faster it moves." They applied the tangential velocity cutoff and compared stars in the subdwarf region of the H-R diagram to other existing star databases to identify an additional 29 previously unidentified old star candidates. In 2018, results from the European Space Agency's Gaia mission, which is measuring accurate positions and distances for millions of stars in the Milky Way, will make finding older stars much easier for astronomers. Determining the distance of stars is now very labor intensive and requires a lot of telescope time and patience. Because the Gaia mission will provide a much larger sample size, Jao says the limited sample of subdwarfs will grow, and the rarest of these rare stars — binary subdwarfs — will be revealed. 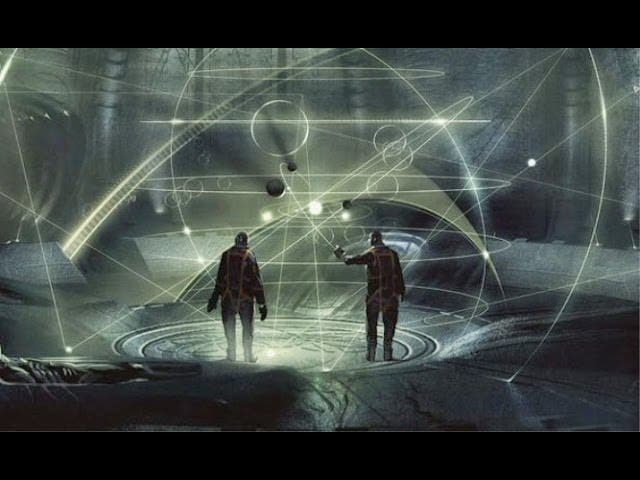 The image at the top of the page is from the movie Prometheus, set in the late 21st century and centers on the crew of the spaceship Prometheus as it follows a star map discovered among the artifacts of several ancient Earth cultures. Seeking the origins of humanity, the crew arrives on a distant world and discovers a threat that could cause the extinction of the human species.